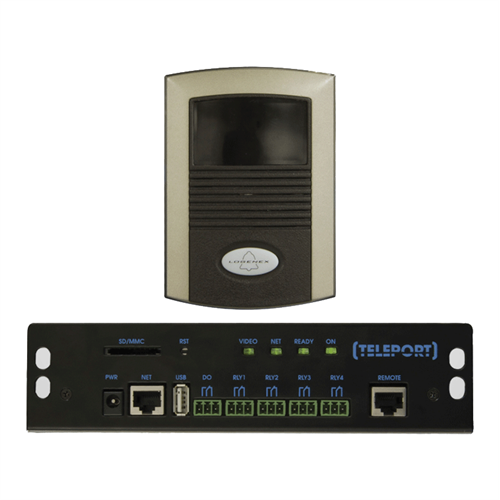 This bundle includes the TPC Teleport controller and the TP-202XVC front door station for your convenience. No set up or monthly fees! Enjoy the same features as the traditional TeleDoorBell series with three on board relays that can be used to integrate a door strike, doorbell or other 3rd party device. New to TELEPORT is an available input to trigger instant recording or snapshots. 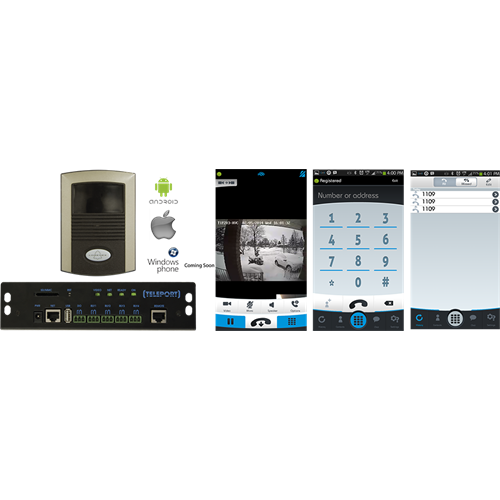 Teleport supports Android 3.0+ and iOS 6.0+ as well as a windows soft phone clients. Teleport can support up to five clients (devices) to so everyone can stay in touch. Logenex TELEPORT consists of two main parts. The front door station is surface mounted outside. Typically CAT5 cable is run to the TELEPORT control unit which is located in the basement or wiring closet near power and a network connection. Note: Remote access requires broadband always on internet on site, recommended 2MB/s minimum upload speed as well as a smart device with Internet connection. This is a technical installation so we suggest it to be performance by a professional installer or someone familiar with networking and wiring. Note: Unlocking the door requires additional hardware.